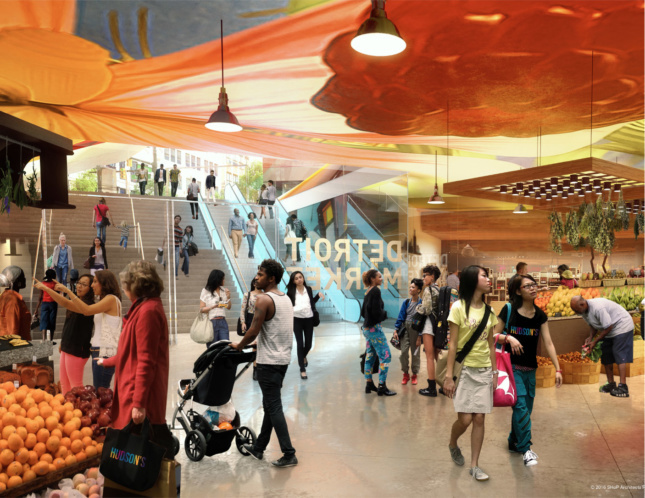 SHoP Architects, working with Detroit-based Hamilton Anderson Associates, has released new renderings of a two-acre site in downtown Detroit. 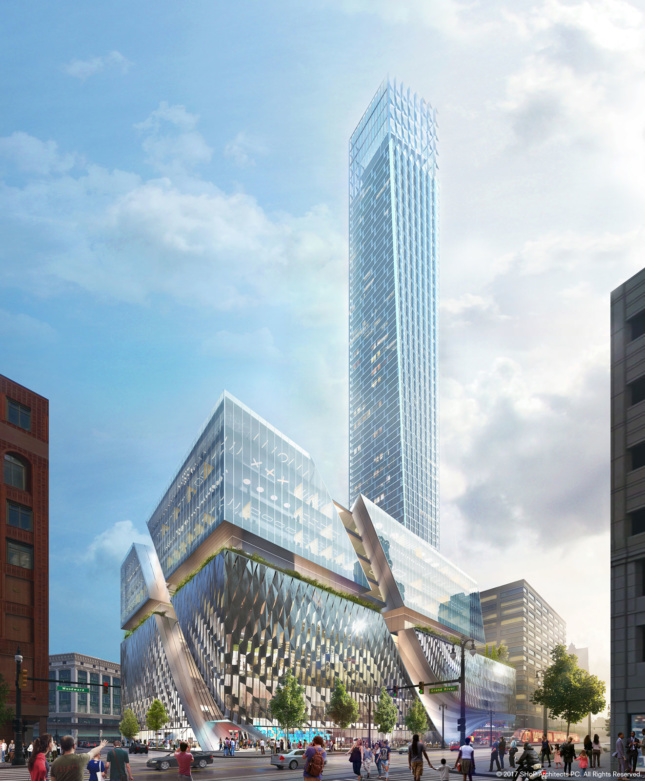 New York City-based SHoP Architects, working with Detroit-based Hamilton Anderson Associates, has released new information and renderings of a two-acre site in downtown Detroit. It has been some time since we have seen any new developments for the former site of the J.L. Hudson’s Department Store and the fewer details about what was planned for the site has had Detroiters more than a bit curious. With this latest revelation, Detroit is looking at a much larger project than initially thought. The site of the new development was once home to one of Detroit’s largest retailers, Hudson’s. The 25-story department store was at one time the tallest department story in the world. At over two million square feet, it was the anchor of the thriving Woodward avenue shopping corridor. With the declining economic state of Detroit in the 1970s, not even the retail giant could survive. The store was closed in 1983 and the building eventually imploded in 1998. Bedrock, the real estate firm co-founded by Detroit native Dan Gilbert, are developing the site. “Our goal is to create a development that exceeds the economic and experiential impact even Hudson’s had on the city. 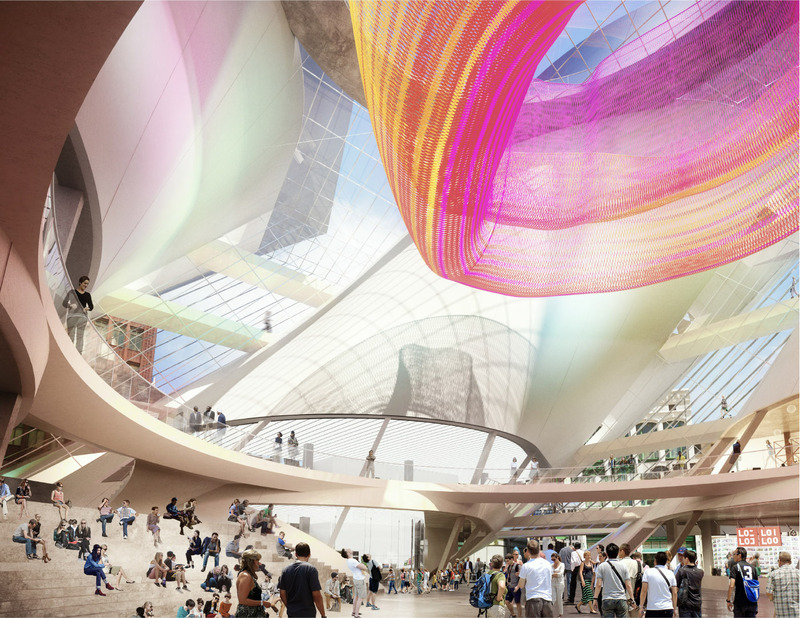 We believe this project is so unique that it can help put Detroit back on the national—and even global—map for world-class architecture, talent attraction, technology innovation and job creation,” explained Gilbert as part of the announcement. The Downtown Development Authority has approved a timeline which sets the ground breaking for the development on December 1st, 2017.